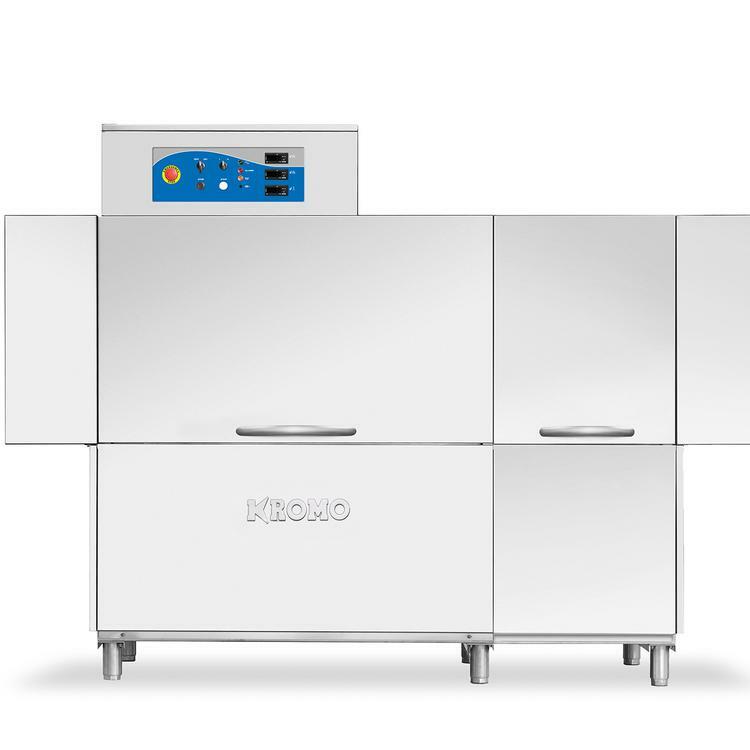 Dishwashers Direct are proud to present the KROMO RK UP line of rack conveyor dishwashers: a range of models with multiple accessories to offer tailor-made solutions for any customer needs. 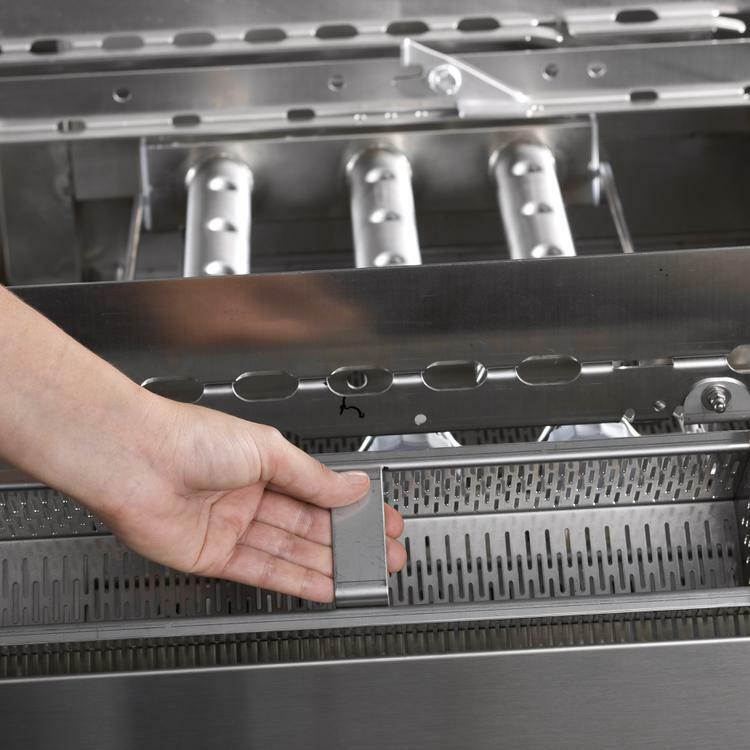 The KROMO UP line of rack conveyor dishwashers fit into different environments and to the most intense workload as canteens, catering, hotels of any size, schools. The new RK1840 is equipped with pre-rinse and rinse. Saves water, rinse-aid and electricity. The water coming out from the rinse-arms is recovered and re-used by the pre-rinse arms. That optimizes the performance and reduces waste. The RK1840 dishwasher is compact and with its insulated double skinned door and the revolutionary pre-rinse and rinse system helps you achieve a reduction of water consumption down to (around) one litre per basket: The RK1840 has 2 speed settings that will wash between 148-190 baskets per hour which equates to 2088-2900 plates/glasses per hour. The RK1840 is delivered within 4 weeks dependant on whether choose delivery only or choose to use our qualified installation service. If you choose to have this dishwasher installed by Dishwashers Direct, we will provide you with 1 year FREE Parts & Labour Warranty. If you choose delivery only, we offer parts only warranty. You can choose to upgrade and extend your warranty upto 3 years including parts and labour.